A collection of source material for the Living Archive book ‘The Story of the original CMK’ about the development of Central Milton Keynes (CMK). The book was edited by Marion Hill, designed by Dylan Jeavons and published in 2007. 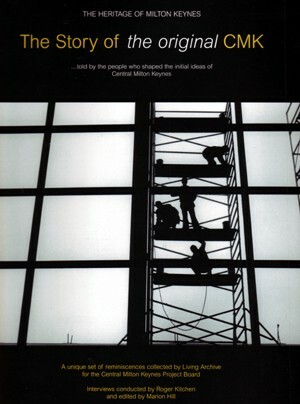 The collection comprises oral history audio recordings of interviews with Milton Keynes Development Corporation (MKDC) staff and accompanying images of the development of Central Milton Keynes and of the interviewees. Oral history audio recordings with Milton Keynes Development Corporation (MKDC) staff. Images illustrating the various stages of the planning and development of Central Milton Keynes by Milton Keynes Development Corporation (MKDC), from 1966 to 1992, together with more recent images up to 2007. Group: Oral history audio recordings with Milton Keynes Development Corporation (MKDC) staff.